The Renault Avantime is a Grand Tourer marketed by the French manufacturer Renault, designed and manufactured by Matra,between 2001 and 2003. The Avantime was a one-box design without B-pillars — styled by Patrick Le Quément. The Avantime was designed to combine the space and design of an MPV with the style of a 2+2 Coupé. The name combines the French word "Avant" (meaning "ahead") and the English word "time", with the latter using the English (tīm) rather than French pronunciation (tēm). 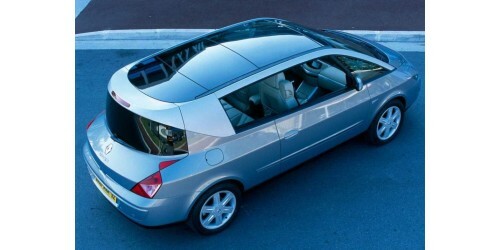 The Avantime was first shown in 1999 in concept form at the Geneva Auto Show — where it was called a "Coupéspace"— and went into production two years later, after the subsequent engineering of the pillarless roof to meet safety standards. The Avantime's sales were poor.The car's fortunes were not helped by the introduction of the Renault Vel Satis (another large, upmarket Renault) around the same time. 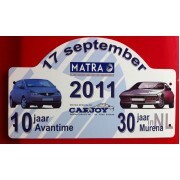 When Matra decided to pull out of the automotive production business in 2003 (partly as a result of the financial loss incurred by the poor sales of the Avantime), Renault chose to discontinue the Avantime rather than move its production elsewhere. 8,557 were built from 2001 to 2003. Il y a quelques annees, Rolex a mis a jour le modele Day-Date II au Day-Date 40. Il s'agit d'une mise a jour majeure, car il s'agit de la premiere montre Rolex a integrer la nouvelle famille de mouvements Replique Montres Pas Cher internes 32XX. Le Day-Date 40 contient kopie horloges le mouvement automatique Rolex calibre 3255, certifie en tant que "Chronometre Superlatif". Le cadran de meteorite Day-Date 40 est la premiere salg kopi klokker Rolex a afficher la couronne Rolex miniature kopiene klokker Norge placee entre "Swiss Made" sous le marqueur 6 heures, ce qui est un indicateur visuel que la montre abrite ce mouvement moderne. Copyright © 2008. Carjoy. All rights reserved.